On Jnuary 7, 2019 Future Ready Schools® (FRS) held a webinar as part of its Leadership Hub, a one-stop-shop of professional learning opportunities for school leaders. Brian Kingsley and Karen Vaites have had front row seats to the “curriculum renaissance” recently described in EdWeek. Brian led the adoption and implementation of multiple new curricula in math and English language arts in Wake County Public School Systems, the fifteenth-largest district in the United States, while serving as their Assistant Superintendent for Academics. His work was profiled in EdWeek. Karen introduced the new generation of high-quality open education resources curricula to districts as a founding leader of Open Up Resources. In this webinar, the panelists explained how the curriculum landscape has dramatically changed in recent years, and the important implications for school and district leaders. The panelists covered topics including: how to find third-party reviews of curriculum, write curriculum request for proposals, and the evaluation processes that should evolve to fit the changing landscape. They also discussed how curriculum selection intersects with other types of district initiatives, including deeper learning, collaborative learning, project-based learning, 1:1, education technology, and social-emotional learning initiatives. Please direct questions concerning the webinar to ldossin@all4ed.org. If you are unable to watch the webinar live, please register to receive the video archive directly in your inbox. Tom Murray: Hello, and welcome back. Happy New Year everybody. Welcome to 2019. 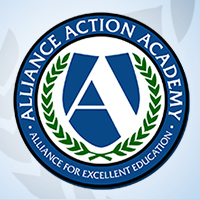 I’m Tom Murray, the director of innovations for Future Ready schools, a project of the Alliance for Excellent Education located in Washington DC. Future Ready Schools is a collaboration between the Alliance and a vast coalition of over 60 other national and regional organizations. The goal Future Ready Schools is to maximize digital learning opportunities and to help school districts move quickly toward student centered learning. The effort provides districts with resources to support to ensure that local technology and digital learning plans really align with instructional best practices are implemented by highly trained teachers, and maximize personalized experiences for all students, particularly those from traditionally underserved communities. The hash tag for today’s webinar is Future Ready. Thank you for making an investment in joining us today. I’m your host on this webinar. Today we’re going to talk about selecting materials in the age of curriculum renaissance. With me today are two great folks. We have Brian Kingsley. Brian is the chief academic officer in Charlotte Metronberg School District. You can find him @edukings on Twitter, as well as Karen Vaites a k12 curriculum maven, that’s for sure. You can find Karen and connect with her @karenvaitesonline on Twitter. It is a complete honor to have both of you with us today. Thank you for investing the time. Brian, can you take a moment to introduce yourself? Brian Kingsley: Yeah. Hi, everybody. Thank you so much for spending your afternoon with us. I’m a 22 year veteran in public education. I have been a champion for kids my entire life and I have the honor of serving the queen city of North Carolina in Charlotte Metronberg school. We serve about 150,000 students here. And this is the third district that I’ve worked in. I’ve been here just about 100 days and have moved here from Wade County, NC which is about 2 ½ hours east in the research triangle area in Raleigh ___ area. And previous to that I spent 17 years starting my career as a proud teacher in the Brower County School system in Fort Lauderdale. So I’ve had a lot of learnings, and a lot of things to discuss with you today and I’m really honored to be here. Tom Murray: Awesome. Thanks for joining us, Brian. Karen, over to you. What do you currently do? Karen Vaites: So, I have spent the last ten years or so, gone between nonprofits and periodically for profits that have been bringing materials to districts. And one of the reasons I’m sure there’s a curriculum renaissance is I’ve never quite seen the response to anything else prior to these new materials that I’ve been in the materials we’ll talk about today. I say that I had a front row seat to the curriculum renaissance because I spent a little more than two years working at open up resources, the not for profit that has been pioneering in the high quality OER curriculum space. But one thing I realized really clearly during those years was that we were, I always thought of us as the tip of a spear, but definitely there was a spear. And there were very many worthy materials coming from other nonprofits and for profits that were characterized in this renaissance we’ll talk about. So now I do awareness building work to make sure that districts know about these awesome new options. Tom Murray: Great. And it’s an honor to have you both here today. You know, and part of the reason we wanted to have you both here today, you have very different experiences. We wanted some diversity in lenses. Karen you’re seeing a lot at the national level, the large landscape. You see a lot with districts, what they’re doing, what their successes are, where things may not be going so well. Brian, you’ve done you know, working in some of the largest districts literally in the country, taking a look at curriculum landscape when you have such a large district. We wanted both of you to have some different lenses here to offer for our audience here today. Brian, we’re going to start with you. Again, you just shared your 100th day in a new position so you can speak to your other district as well. But with those you were in Wade County, which again is I think the 15th largest district in the United States or a superintendent there, assistant superintendent for academics there, now in your new role. Tell us about some of the work you’re doing. Talk about curriculum between the two districts where you were and where you are now and those kinds of things. Give us a bit of an overview to some of the work that you’re doing and where you’re going with curriculum stuff. Brian Kingsley: Sure. I mean both districts represent 10 % of all students that are in education in K12 education in the state of North Carolina. So I feel really blessed to have a pretty significant impact from a leadership role here. And there’s one data point that not really transcends both of those districts but I would say nationally that we look at about 85% of students that are of high school age in this country aspire to go to college or post-secondary school. And what we’re recognizing after speaking to those students, and there’s national surveys out there that only about one out of every two of them feel prepared. And what’s been really interesting in all of the large school systems that I’ve worked at, is that same, those data points really reflect our graduation rates as well as our literacy scores. I’ve been a part of great school systems that were graduating over 80-82%, 85% in some instances of our students. Yet, only 50 to 60% of our students are college and career ready. So my job as a chief academic officer, as a servant leader in these communities is to bridge that gap to ensure that our students are not leaving just ready for college, but are really able to be productive citizens. In my role as a central office leader is really to identify key levers with teachers and with school leaders to help maximize both teachers and students’ opportunities to reach their potential. And curriculum is one of my main levers to be able to do that with and for teachers. Some of those other levers would be assessment, would be professional development systems for school leaders, as well as direct to teachers. But that all starts with having a real clear and compelling vision for what we want students to be able to do once they spend 13 years with us of their life. So I think just really working with teachers to develop and co-develop a really clear and compelling vision around what that looks like for students, that helps us drive and identify what those types of things that we need to do for our teachers and resourcing them well and providing them really high quality comprehensive curriculum, something that I’m super excited about. It’s something that’s really made a significant different really quickly for all people that have been involved. So that’s why I’m here today. Tom Murray: Great. Well, I appreciate you joining us and everything that you just said really goes so well with Future Ready. And so much of the work that we do we’re focused on that long term vision for teaching and learning. What are those skills that our kids need? And I think for so often we almost looked at, as a former district leader myself, it was almost like high school graduation was that final piece. They walk across the stage. We’ve done our job. We are good. And if that’s our mindset, boy, are we misguided. That is the first baby step in life to being successful after that. And one of the things that you were talking about that I started to relate to there that is related to Future Ready is really looking at the whole child in the sense of what are their interests, their passions, you know, the way that they- we talk about learning the personal in nature and what they do. And how do we balance? We’ve got state standards. We have state testing with the notion of we want to recognize people as individuals to leverage their passions and their interests, and so on and so forth. Karen, let’s go over to you. I want to hear a little bit about the national landscape related to curriculum. You see so much from the for profit side to the open side in so many different ways. It seems every day I see you posting on social media, literally every day, many times a day regarding the curriculum renaissance and the changes that are going on. You obviously have a front row seat to that. So could you give us, spend some time giving us a national landscape where folks are, where they’re seeing some success, what you’re seeing? And obviously your background’s been all over the map when it comes to this. So talk to us kind of big picture for those folks that maybe working in the district level are really thinking just at a statewide, talk to us big picture at the national level. Karen Vaites: Yeah, so I’m going to share my screen, because I’m, you know, we’re past the point where we talk about visual learners, but I am a visual presenter. So I’ll walk you through the changes in the last few years. There have been seismic changes just in the last three years alone in the options for districts and what characterizes them. I would say that kind of my journey to focusing on curriculum and its impact started a couple years ago when I was at student achievement partners, a nonprofit that’s dedicated to supporting districts with implementation of the new standards. And you know, five or six years ago as a country 45 of our states adapted materially new standards that were intended to raise the bar for teaching and learning and up the rigor in our classrooms. Back then there was a lot of concern that I heard you know, when those walls and also heard from my mom a curriculum director in Pennsylvania and every district leader that I felt like I was talking to that there just weren’t options in the curriculum space that truly align to these new standards. And for a few years people talked about that as a pervasive problem. What I would say is sort of evidence point number one for the curriculum renaissance is that we now don’t talk about that problem anymore. Instead we talk about there being genuinely a body of options and varied options for districts in both math and literacy that align to the expectations of these standards. So that’s victory number one. But I wouldn’t even want you to just take that from me. One thing that I would want anyone joining this webinar to know is that there are third party reviews that will tell this story for you frankly better than I can. So your two sources to know, source number one is Ever Ports. Ever Ports is one of the two organizations that organizes groups of educators with really strong rubrics make sure that all of those educator teams really know what good looks like and those groups of educators go through extensive, – hundreds of hour review processes of each curriculum that’s reviewed on the website. So when you go to EdReports, you’re going to find for each curriculum series that it is either all green, as you see for the two examples here on the left. These happen to be literacy examples, but they also review in math. In both literacy and math, they’ll review in two categories that are about standards alignment. Here for K-5 ELA, text quality and do the materials develop content knowledge? Then assuming that the materials are all green in those categories EdReports teams will keep reviewing against usability criteria. So here you’ve got some examples on the left of some all green curricula. If you happen to be looking at a program and you see some red to indicate nonaligned, or some goal to indicate partially aligned, you’ll also see that if the review teams find non or partially aligned curricula, they won’t necessarily go through the full effort of doing that usability review. So you’ll see non-rated curricula, non-usability over there in that last column. But EdReports is, I think anyone that I know that is looking at how do you find quality, EdReports is your go to as a first step, and there is also a form of dual validation. The Louisiana Department of Education also organized educator review teams. Their schema, you can find their reviews@louisianabelieves.com/academic/curriculum. They have a three-tier review process and each program will be deemed either tier 1, which means it exemplifies quality, tier 2, which means it’s approaching quality but not consistently exemplary of quality, or tier 3, not representing quality. So on their website you’ll be able to look at list of curricula. Here this is the tier 1 literacy curricula in K-5, and you’ll actually see pretty consistent outcomes from Louisiana and from EdReports. But you should know that you have two sources to go separate the awesome stuff from the less awesome. One thing you’ll find as you start to go look at those programs is that the folks that we think of as the usual suspects for providing curricula aren’t necessarily the names that you’re going to find when you look at the top of those EdReports reviews. Just by way of example, here looking at what are the top curricula in K-5 English language arts? When you see Sue Pimentel, the lead author of the Common Core Standards in ELA. When she writes about a curriculum renaissance in Ed Week, a piece that I tweeted a little bit ago as part of our recommended reading with the #FutureReady. You’re going to find that the curricula that she’s naming, that are all green on EdReports, topping those Louisiana charts, are things like the ARC Core program from American Reading Company, the Core Knowledge Curriculum provided by Amplify, the EL Education Language Arts Curriculum provided by Open Up Resources, and the Wit and Wisdom Curriculum provided by Great Minds. If these aren’t names that you’ve been familiar with, they are names that you ought to be becoming familiar with because these are the materials that are coming to exemplify quality. But some of my favorite aspects of these new curricula are that they are designed to put the I in CNI. Too often we desiloify all of these learning objectives we have versus the content we use to produce these outcomes. These curricula come with really intentional instructional design in a way that’s exciting and helps districts achieve instructional goals like more active learning or more student discourse. So yes, you’ll find that these curricula absolutely support the right foundational English language arts and math skill development. You will see support for rigorous research-based practices like building content knowledge in language arts and supporting both conceptual and procedural success in mathematics. But you see this support for active learning. You’ll see in English language arts a strong premium on Socratic seminar type practices in English language arts. How do we get all kids working with complex texts, but talking, reading, writing? Debating about these materials in ways that look like a lot of the goals we hear. How do you get more student discourse? Well we often look to other things, but not necessarily curriculum. I would want you to know curriculum is doing that. You get this proactive support for the five practices in math. I just want to show you a glimpse of what that looks like. Because it might even surprise you the degree to which top curricula, in this case the Open up Resources Middle School Math Curriculum, have kids doing things like mixing drink mix in different ratios to understand the principles of ratio as part of the work that they are doing. They are doing this work in groups. There’s a lot of collaboration. You see card sorts as a very common activity in these classrooms. So how do we get the four C’s going in classrooms and are we looking often enough to curriculum as a catalyst? I would say it is time for us to be starting to look to curriculum for those types of outcomes. Then lastly, my last evidence point, because it’s my other favorite, we are seeing a lot of community built nationally around curriculum. We are seeing Facebook groups for individual curricula where thousands of educators across the country are creating and sharing resources with educators on the other side of the country, and grappling with problems of practice. More recently, hat tip to Brian Kingsley, one of the leaders, we are seeing national collaboration with district and school leaders getting together to actually collaborate around curriculum via a Facebook group and a new curricula matters org initiative that I hope that everyone will look into. That’s all the stuff I see that tells me there’s really exciting activity happening in the curriculum space, and I think Brian can actually go into what he’s seeing in-classroom. Tom Murray: Absolutely. At the Alliance for Excellent Education we are also starting to do a lot of work around learning sciences, essentially how the brain works. When you take a look, there’s been a lot of growth in that in the last number of years, a lot of studies on that. The more we learn about how people learn, the more curriculum should shift. Everything that you were just sharing is really what we preach at Future Ready. We are not here from Future Ready’s end to say buy this or buy that. We don’t sell anything. We are here to help people make informed decisions and do what’s going to be best for their community. When we are talking about that active engagement, that hands-on learning, well why do we support that? Because we know that’s what works. On our end, when we take a look at the national curriculum landscape, and I know that you were on, we did a webinar previously related to some open resources, for us, related to Future Ready, it is quality first every single time. I’ll give you an example. I was working with a district out west and they had moved, not in a good direction in the sense of, they thought hey, we are just going to go open and we’re going to go out and find all these resources. Sure, there’s a lot of great stuff out there and there’s a lot of great materials in an open environment. But what they said, their mindset was now we don’t have to buy anything, and they found three years later they were making $300,000 a year in photocopies. It really just became the digital worksheets, and the worksheets in a binder, and that’s what they created as a curriculum. They were realizing this is not good. We went in the wrong direction. Because they did it poorly. From a direction that was poorly. But we also know, and you just shared, there’s some great open resources out there that are deeming very high quality that can be implemented. So from a Future Ready end, it is quality first and foremost. Everything else is secondary with that. Thanks for sharing that, and I love what you shared and also Brian started to mention, the evidence piece. How many times in education do we make decisions on a whim? When we were writing Learning Transformed, Eric and I, we were really looking at what does the evidence show? What does the research show? We have to start there. It’s really our moral obligation. Because every dollar we do spend in education, it comes out of somebody’s pocket somewhere, and so how do we make sure we are spending that money wisely? How do we leverage tools like EdReports and some of the other things that you shared to get some third-party pieces looking in? Of course anybody that sells curriculum is going to share that theirs is the best. That’s just that sales point of view, and so how do we make sure we are making really good decisions? Brian, back over to you. It’s my understanding that the way in which you selected materials when you were in Wake, and now what you are seeing in your new district really has changed over time. So tell us about the process and your experience, again, coming from very large districts. What does it look like for you, maybe from early on to how are you doing it now to ensure that quality reigns supreme? Brian Kingsley: Well I’m so excited about what you said in terms of the organization, Future Ready making those connections around quality and evidence. Because I think that’s the joy and the excitement that gets me up out of bed in the morning to have this conversation with thought leaders around the country who are trying to best serve communities and kids. It’s something I learned was not necessarily the case when Common Core first came into play. Unfortunately, we raised expectations for students and teachers, which is not a bad thing, but raising those expectations several years ago unfortunately was timed with the recession. So many districts curriculum budget bottomed out at that particular time, and what we saw is as a means of just kind of making do with what people had is that curriculum companies and curriculum publishers at that time were really just rebranding things of the old and selling it as something that was now meeting these new expectations. A lot of educators, like Karen and myself, and probably you as well, began to say wait, that’s not right. We need to dig a little bit deeper and understand what are some of the key instructional shifts that are taking place with these new expectations for teachers and students and what is the bar that we want to set around quality for what these resources should be? And get them in the hands of every one of our teachers. Organizations like EdReports, and they were a key lever in the changes that we made in both my last district and now in Charlotte-Mecklenburg Schools. They create leverage to make both materials that we choose better, but also on behalf of the publishers through the evidence that they are publishing when they’re looking at their reports, really providing high quality feedback to both sides of the market to ensure that we are all raising our game. Tom Murray: Looks like we lost Brian there for a moment. Hopefully he jumps back in. Brian, we lost you there for a moment. Brian Kingsley: Yeah, I’m sorry. Tom Murray: That’s okay, go ahead. Brian Kingsley: When I met Karen a few years ago we were talking and having thoughtful conversations around OER. I thought the individual learning objects that people were pulling worksheets down from the cloud and being able to put them in front of kids. While yeah, that may serve a purpose here and there, it really as an unintended consequence was creating and amplifying inequities across our schools. School to school, classroom to classroom, different teachers utilizing different resources on a daily basis never created a standard floor. Curriculum is never meant to be the ceiling. You want to have that opportunity for strong individualization and personalization to the learning experience. But our teachers deserve to be resourced where we are getting them a floor curriculum that is super high quality, that when they build and bring in their artistry. Those are things that we are thinking about and needing to know about. In my last two districts we had to identify that as a baseline. The RFP process, the proposal process, you couldn’t get in the door unless your curriculum was comprehensive, number one, and met with really clear evidence those instructional shifts that took place with Common Core. EdReports helps educators across the world make those decisions. But I would ask and challenge educators to learn deeply about what those instructional shifts are. But that’s a starting point. I think having the pleasure of working in the Research Triangle and now in one of the financial hubs of our country, the community and the workforce demand really strong things from our graduates as well. What we are seeing is that they are demanding our graduates be really good at teambuilding and working creatively within a team. Soft skills jumps off the page when I’m speaking to people in the business community, small and large business. That our students need to be better communicators. They need to be able to collaborate, think critically so we need to be able to see evidence of that in the curricula that we choose to purchase or that we are developing, and that has to be a baseline expectation. We also know that it has to be culturally responsive and integrated to the emerging technologies that we have. The thoughtful process that we went through in Wade County, it was an exhaustive process that started off with lots of people responding and wanting to do business with one of the biggest school systems in the country. But I was able to recognize that I think we had leverage. As one of the biggest school systems, that if we demanded excellence, other school districts will follow. I was really excited that we made really, I think, high-quality decisions. For English language arts we procured EL education in grades three through eight, and the Mathematics Vision Project, MVP, was our high school math collection. Right before I left, we made a selection to go with Open Up Resources and the Illustrious Mathematics Curriculum in grades six through eight. What’s at the center of that curriculum is a change in practice for both teachers and students. But just selecting the curriculum, this is something that I allude to in my opening. My job as an educator at the systems level is to create infrastructures or amplify levers to help everybody change in a positive way. Change is hard. In the absence of being provided a curriculum, teachers are creating their own, and they have tremendous personal ownership over that work that needs to be honored. But we also need to understand that through this process, that professional development is as equally important to everybody involved as it is the actual selecting of the material. Because implementation is a long, you are playing the long game there, but it really takes an opportunity for districts to be really thoughtful in how we are developing people with this change to understand what those changes in practice are. I have to be honest, in one year in third grade we rolled out of the elementary level, we had the largest increase in student achievement in our district last year across every one of our subgroups. That’s just in the first year of implementation. Having an opportunity now to come in Charlotte and work with over 20% of the students, I’m just so excited about the systems opportunity, the statewide opportunity, that we have. But it really takes leaders to work with teachers, but to be really, as you said, in our transition of how we’re identifying what quality is for our teachers and students and creating that as a system standard. Then what is the evidence that you will utilize to identify that that quality is in place? EdReports and Louisiana Believes are two aspects of that. One last lever or one last tool that I developed, that was developed by Student Achievement Partners, is the IMET tool, the Instructional Materials Evaluation Tool. I think that is a great easy to understand tool for district leaders and teachers to utilize. To be reflective. Does my curriculum right now that I’m utilizing in my classroom every day meet that bar? If not, what can I do to elevate that and look elsewhere where those opportunities are? Karen has been a tremendous thought partner in that work. One thing I’d like to highlight about what she shared about that new curricula that’s in the market space is that they’ve been created by teachers for teachers. I know that means a lot. But they haven’t been created by teachers who are in the classroom working their tail off 6 to 9 hours a day and going home and trying to figure out how they are going to make sense of what the world needs for their classroom tomorrow. Writing curriculum is a full-time job in my opinion. Teaching is a full-time job on steroids, and the things that we are asking teachers to continuously do on top of everything else that we are asking them to do… identifying a high-quality curriculum is a means of still allowing them to have ownership. But they have a fuller set of high-quality resources to build off of that create a high leverage experience for our kids. I think that need to mean something to teachers. Because I know those that are not in this space of really trying to understand what does this renaissance mean? Change is really hard. We are not asking teachers to not be artists within their classrooms. There are still partners in this on their own. But creating and resourcing them in a way that’s different. I think we’ve not resource teachers for so long that they actually don’t think that they even deserve it anymore, and that breaks my heart. But I’m really glad to be telling this story because I think times are changing, the market’s changing, and it’s all centered around what you said, which is quality and evidence. Tom Murray: Yeah. Wow, so much to unpack in what you just said. I want to point out, one of the pieces that you related to is the notion of the professional learning. This isn’t about just downloading or buying something, putting it out there and expecting it to work magic. That professional learning, that’s one of the gears of our Future Ready framework. Personalized professional learning is that conduit to change. Brian, the other thing that I would say is you backed it up with evidence and results. Here’s the change that we saw. Look at the gains that we made. One of the things at Future Ready is we are adamant of share those stories out. Not from a prideful end of look at us. But share those stories out, and it’s why we have conversations like this. So that that way others that are out there, that they are trying to find their way, or they are looking for help, number one, they have hope. We as educators, we need hope. It can be difficult out there. But in the same sense, to say, hey here’s what’s working. Especially in a very large district where that change and that navigation can be even more challenging when you’re talking many, many kids. I do want to actually remind our viewers the hashtag for today, like always, is #FutureReady. That is an ongoing hashtag. If you’re involved in the conversation, we’re seeing a bunch of tweets out there already, we encourage you to continue doing that. Brian, one of the things I’m going to ask you to dig into a little bit more, especially around math and ELA curricula is really this notion of active and hands-on learning. Or even social emotional learning. All of those things are tried and true for Future Ready and really what we push. Quite often people may think in their mindset, a traditional mindset, especially for math and especially for ELA is it could be very one directional or very sit and get. Or very individual in the sense of like I’m working by myself. But that’s not what you’re talking about. You’re talking active, collaborative, hands-on and engaging. Or tapping the social emotional side and recognizing the whole child. Talk to us about what that looks like in classrooms from a curriculum end. What does that look like when we talk about that? Brian Kingsley: What I would be looking for, and what I currently look for when I’m packing a curriculum are what are the embedded routines and procedures and protocols? The more protocols that are happening within the interexchange between the content, the learner and the teacher. What are those thoughtful protocols that are developed that unlock this learning opportunity for all students? It goes so far beyond a teacher launching a question and waiting for some significant wait time which students are choosing to answer. When teachers are writing curriculum on their own, most of the time they are falling back on, they’re having to make some questions. So the curriculum that’s out there, the high-quality curriculum that’s out there have embedded protocols that are engaging students with other students through opportunities for discourse. Through opportunities for deep writing on a daily basis. That is not only getting them to exchange ideas with one another, but in my opinion and what I’ve observed, it’s beginning to have students self-actualize and identify who they are. They are not just being asked to read a text, they are asked to critique a text. They are beginning to formulate opinions and interact with the world around them in a very different way. The elevation of student voice in my opinion is what social emotional learning is all about. SEL is not a program. It is an opportunity for a daily experience for a child to come to school and learn about who they are and how they interact with the world. That starts with the type of content that they are interacting with each and every day. A lot of that interaction has fallen back in the absence of high-quality content. That exchange was dependent upon teacher and student. I think immersing and including, what I think completes the instructional triangle between teacher, student and content. When you have all three of those things together functioning on all cylinders, then you have an opportunity every single day, you’re not leaving it to chance, for every student in your classroom to be interacting with content in meaningful and thoughtful ways. I didn’t know that that was possible previous to me interacting with this work and realizing how the curriculum renaissance market had changed. Nobody sent me an email saying it had changed. Or if they did, I deleted it because I thought it was junk. Then when I had an opportunity to realize how we were starting to define what quality was and be able to impact that, around social issues, around real relevant things, not about what you and I and Karen may have learned when we were in public education. Not to say that was unimportant, but the world is changing right before our eyes every single day. This curriculum allows for that meaningful opportunity, the exchange in that learning. Not just with quality text, but with culture and with the arts, and what students are bringing to the table in a personal way. That’s what we need to be seeing each and every day. Deep engagement happens, not just between teacher and student. It’s between teacher, student and content. I think we’ve lost sight of that as a field and as an industry. I’m really hopeful that conversations like this can begin to elevate all three aspects of that triangle. To me that’s what makes the magic happen. Tom Murray: Yeah, so well said there. One of the pieces you said, actually in your intro you alluded to this notion of being culturally responsive, and it’s so vital. It’s part of our mission, future ready. 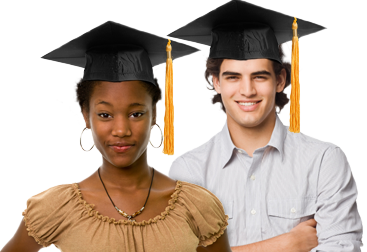 Really working for those students that are traditionally underserved. Often our black students, our Hispanic students. When we take a look there, making sure that’s a priority. That literally goes back to like Maslow 101 in our education courses, that sense of belonging. Quite often we can talk about that from a learning space end or from a culture end at the building, do kids want to be there? But when it comes to the content and the curriculum, can kids see themselves in it? Can they see themselves in the story? Can they relate to that? So vital to that work and I appreciate you touching on that there as well. Karen, I want to go back over to you. Something I see you sharing out all the time. Something I’ve seen in The New York Times. There’s a large polarizing conversation around this right now on social media, and it’s this notion of reading instruction. One of the cores to what schooling has always been about. How is curriculum helping with those issues related to reading instruction? In lieu of some of the articles that have been out there recently, and certainly in the news that have been really, really hot topics, especially on social media. Talk to us a little bit about that and what you are seeing. Karen Vaites: Yeah. Most notably, some gaps in reading instruction practice have been everywhere from NPR to The New York Times, to The Wall Street Journal last week to, if you look at Education Week’s topmost read editorials from last year, number two is a wonderful piece, written by Sue Pimentel. It was one of the things I tweeted earlier, top of the hour. Talking about some problems of practice that we have around reading, where we’ve known since the national research panel what it takes to get kids to read. But along the way there are some practices that have not become persistent in the classrooms, and how do we close the gap around that in support of all of our learners? I would encourage folks, I tweeted two things. One, under the literacy tsunami heading. If you want to go back into your background reading about these problems of practice, please do. These articles have been really provocative in helping us start conversations about what should good looks like. But what’s important for folks to know is that, and I alluded earlier to the intentionality of instructional design of the current generation of curricula. Each of those K-5 ELA curricula that I would have alluded to before have been effectively tailor built to those research outcomes. Many of them the unknown research outcomes that we don’t talk enough about. Emily Hanford’s Hard Words has us all talking about phonics. Do we have daily systematic phonics? Well guess what, the easiest way to have that is to have a curriculum that is just bring them into your classrooms and then supporting your teachers with knowing how and the why of using those materials. Having materials that are designed to make phonics as engaging as you can make phonics. Curriculum helps us connect those dots and close these gaps. One of my favorite want to talk about is actually about the importance of content knowledge to literacy. The research shows us absolutely unambiguously that students reading comprehension is higher when they know something about the content area. The imperative for us instructionally is to help build student content knowledge about the world, particularly around science, social studies and the arts, so that students have more prior knowledge to hang new knowledge on as readers. They can better comprehend each new body of text. Well there are really proven ways to do that. Get your curricula. Get your students reading text sets designed around social studies, science and arts topic. Guess what all of these curricula are designed to do? They do it in a way that is going to also cover the foundational skills basis. They do the hard work of making research-based practice easy to bring into classrooms. I think that’s the good news of all of this. If some of the worrisome news of the fall is that we are talking about research problems of practice, the good news, and Sue Pimentel said it best, is that curriculum can carry the water for closing these gaps and helping us to support teachers and bring that into classrooms in a consistent way across systems. Tom Murray: Great, thanks for sharing that. I do want to remind our viewers again, one last time, that the hashtag is #FutureReady. We see conversation going online and we thank you for those that are taking part on Twitter. Brian, I want to go back over to you, specifically as a follow-up to Karen’s question. I understand that you implemented a new reading curriculum when you were in Wake. Tell us what that looked like in classrooms. I’m curious from process of implementing, especially in a large district, process in implementing that curriculum, the professional learning side, and then ultimately what did you see come out of it? What did it physically look like in classrooms? Brian Kingsley: Prior to the emerging of our new curriculum, which was EL education had a district and community wide philosophy around balanced literacy. It took a lot of time, and it’s still in process, where we had to be really thoughtful and reflective of our practices. That our implementation was not necessarily that balanced. That if you were a struggling learner or if you were a struggling reader, in many cases you were not necessarily getting access to grade level materials. That was a really hard conversation for us to have. Because at that point and time when balanced literacy was being rolled out… Educators are always doing good intentioned work. Nobody is getting up every day and thinking that we are not necessarily putting all of our kids in the best position to succeed. They didn’t necessarily have the resources to do anything different. As Karen talked about building content knowledge, it started by just having a simple conversation of why does anyone choose to read? It’s really to make meaning of things. I think it’s an unintended consequence of new expectations, timed with the recession, timed with the emerging technologies that made us still continue to think that knowledge is a commodity. That anything that I may need to know I can always google. We’ve transferred that knowledge or that thought process into our classrooms. That our students don’t need to know about things. That we don’t need to rely upon teaching them reading as a spirit of them making meaning of the world and themselves in this world. As a result of that they were learning with level readers there were not necessarily about anything that’s relevant. They were not necessarily talking… They were writing about those leveled readers, but they weren’t necessarily speaking to each other. I think it’s hard just identifying where your current state is and really what your standards and your community are asking you to aspire to, and to be honest with does your materials and your teacher skills put you in a position to have your students cultivate themselves to a place to have those behaviors be a part of who they are. That’s kind of where we are right now in Charlotte-Mecklenburg School District. In Wade County through that selection process we had to… It was a three-pronged approach. You resourced them. You provide them the new curriculum. We provided over six days of professional development to every single teacher and every person that supported those teachers with the instruction over the course of the year. Where you may have savings by choosing an OER solution like EL education, that’s not necessarily keep your money in the coffers. You need to reinvest those dollars into developing your human resources and not necessarily think a train the trainer model is going to get you to scale and implementing with high fidelity and integrity. It was very difficult at first because these are really significant changes in practice. Being honest, always being a part of really large urban school systems, professional development for teachers has really only been handled at the school level, through PLT’s. I think our teachers are really hungry for deep professional development. So really investing in that, the amount of time. It really has increased their level of buy-in and put their implementation level at a whole ‘nother level in my opinion. But the students to me were the biggest conduit in this practice. Because their change in behaviors really made teachers buy-in a little more deeply. When they were interacting with those protocols, it made us challenge our beliefs about what kids can do. Always working in disenfranchised communities, what I have seen, and I’ll be honest and vulnerable with the community, that I’ve taken part of it myself, sometimes we find ourselves sympathizing with our students because of the scenario that they may be in. Rather than emphasizing and utilizing their public education or private education experience as a means of catapulting them to economic mobility. That balance between empathy and sympathy I think is something that our teachers struggle with, because they don’t necessarily have the resources to do something different. So that third component, you provide the resources, you provide the professional development. The last piece, which the most important, is coaching teachers. It’s not enough to say here’s the strategy, here’s the resource, good luck. School leaders, principals, assistant principals, coaches, have a significant role to provide teachers the feedback in a thoughtful gentle way. It’s not about evaluating teachers. This is about coaching them up to be successful around really key instructional shifts that we should see every single day. When you have all of those things interacting together, to me that’s when you really start to make a system type difference within a school community. Or even a district level. Those were my experiences, and I challenge educators that are listening in. If this is something that you are just looking to pull off of the cloud and identify what quality is and not necessarily invest in the professional development, you are not ready for this renaissance yet. If you’re not willing to invest in deep coaching for teachers, and I’m speaking directly to the principals who may be on the line. That starts with you in doing it. It’s really hard, difficult work that you haven’t been probably trained on as a principal. We all have to be in this together because our kids are really, they are depending upon us. Tom Murray: Yeah, so well said and I appreciate again, the depth of what you were just sharing. So much we could impact with that truly. One of the questions that we received, and I’m putting myself back to when I was a principal for a while and then over at district office, this comes from Brian, he’s in Eagle Schools out, I believe Colorado. He said everybody wants something for free. How do you determine which tools or resources are districtwide purchases versus the responsibility of the school to purchase? Brian, being in a large system, and again even from my own experience, you know where these balances, what are the things that, hey, districtwide or in these grade spans you are doing X. But we all know the next day the principal is picking up the phone and it’s well intended. Or that teacher is trying to find something. It’s well intended. They want to do great things for their kids. How do you balance the districtwide piece versus autonomy? Whether it’s in the classroom or at the building level. Also, let’s be honest, there’s some dangers when we start to say let’s add this or not do this, or add this and not do this, and we start to see some of those gaps. So from your experience, answer Brian’s question if you would. What advice would you give Brian? Brian Kingsley: I think it starts with what we were just talking about with professional development. We have to educate people on why we are making this change. Like what are we aspiring to do and why is this change important? If you can really clearly identify what is quality and then back that up with the evidence, then it should be a no-brainer that every teacher and every student in your district deserves that experience every single day. To me that core experience for teachers and students is determined by how a district internally, and I would ask them not to do this independently. There’s research out there. You can look at partners like Student Achievement Partners, Curriculum Matters. You can look at EdReports, Louisiana Believes. But helping identify what quality is, and then I think it’s really difficult to say that everybody doesn’t deserve that. You always want the opportunity for people to have… School culture is different school to school. That shouldn’t, to me in my opinion, and I’m saying this respectfully, change how you set a standard around quality. But it may help you personalize and differentiate a little bit. How I’ve always framed it with my schools and community members was we want to adopt before we adapt. We want to be really thoughtful about understanding what quality is. Make sure that we are really giving the benefit of the doubt through that experience, and then through that we will be more informed as a community to have a thoughtful conversation around what adaptations that we have to make. When we identify quality upfront, it helps districts both at the central office level and at the school level know what they may need to strategically abandon in order to do these other things really, really well. But it has to start with educating all of the informed stakeholders around what quality is, why we should be looking at this differently. Because without that you are making decisions without necessarily the shared ownership and the buy-in. Tom Murray: Yeah. I love that phrase “strategic abandonment.” One of the things we cannot do is just continue to add to plates and add to plates and add to plates. Because then we won’t be doing anything well. The other piece, you had started to allude to a few minutes ago. Really, I think is one of the best aspects of working with Future Ready, again, because we don’t sell anything here, it’s this notion of how do we break down the silos. How many times do we see the curriculum department pointing at the tech department? It’s the blame game, as opposed to breaking down some of these silos. That’s why at Future Ready we have future ready district leaders. We have a principal strand. We have a coaching strand. You were alluding to the importance of coaching, and we value that enough to make that a strand. A librarian strand and a tech strand. We do that to also help them point to similar visions and outcomes. The last piece I would see as I was reflecting as you were talking there is really this notion of the importance of developing a common language internally. I mean let’s face it, we buzzword bingo the heck out of everything we do in education. How do we make sure that when we are working with things like curriculum, and there’s good reasons we call things internally. Absolutely there are. But if we don’t all agree as admin or at the building level what we are talking about, there’s no way teachers will remotely be on the same page. We could do just such a disservice to them. So having to make sure that they are all in the loop and that curriculum is not something that’s just done to teachers. But it’s something that they are a vital part of as curriculum experts and some of the most creative people on the planet. We need their voices. We need their agency in this mix. Tom Murray: I couldn’t agree more. Tom Murray: Brian, thank you for sharing all that. Karen, you want to jump in their real quick? Karen Vaites: Building on that point, there was a study I’m just throwing into the chat, I’ll tweet it out too, about how teachers, and this is a study from a few years ago when we’ve gone through this phase where there haven’t been enough awesome, excellent, standards one material. I think that’s produced a lot of outcomes that we are still recovering from, like Brian says. Teachers have felt the burden of having to figure it out, supplement because they weren’t given something core in the middle to build on. One of the things you start to see, as I’ve watched these new curricula be brought into classrooms, is you see teacher supplementation drop dramatically. Because teachers start saying the opposite thing. They start saying wow, there’s a lot here. How am I going to fit this in? Not, oh my gosh, how do I find time on my Sunday to go scour Pinterest and find something that’s going to engage my kids? This idea of a national state where teachers are spending seven hours a week, which is like a school day, sourcing and creating material. When we think about how do you find the time savings to go and do the professional learning and the PLC work to be raising the bar around new material, I think we don’t talk enough about how much we can give teachers differently valuable time if we give them solid material. That would make me say to Brian, I certainly would hope that districts take really seriously the benefit they bring to teachers if they think about high quality as a system wide imperative. Not just something that they push to building leaders. That was my two cents. Tom Murray: Yeah, so well said there, and we know time is finite. Teachers only have so much and they are already pouring their hearts into other people’s kids all day long. The more that we could provide for them in that high quality that they don’t have to just reinvent the wheel, the more time they can focus on instruction and the other things that they need to do. Let’s wrap up with this piece. Obviously, you have different lenses and I’ve appreciated for the past 45 minutes that you’ve shared from the heart in different ways and your passion is certainly coming through. We are hitting the point in the year as districts start to evaluate for next year, that curriculum cycle, the renewal cycle, whatever it might be. What advice do you have for school and district leaders as they start to go down this path? Embarking on a new journey or starting to put their toe in the water for something different than they’ve had in the past. What advice do you have? Karen, let’s go back to you first. What advice do you have? Karen Vaites: I would ask district leaders and school leaders, I would ask teachers to forget everything they assume about curriculum. Because if you look at the market share and you say, what’s in classrooms today? A lot of what’s in classrooms today, in fact most of what’s in classrooms today is something that doesn’t top those EdReports or Louisiana Believes charts. So that means there’s some deficiency there. What deficiency is going to vary by a set of materials? But I would ask people to almost suspend whatever beliefs they have. Because if they go and they look at this new generation, they are going to find something different and more exciting, and something that can be really a catalyst for raising the instructional bar and systems. So I would say, press the little bit of a reset button on what they assume about this market. Then go to EdReports, Louisiana Beliefs, and go from there. Tom Murray: Yeah and thank you for sharing those various resources that are out there. Brian, over to you. Somebody watching this webinar today. Your friend calls you from another district, says, “I saw you talking about it. Where do we even begin?” What do you answer? How do you respond to that? Brian Kingsley: Well I think every single day our parents are sending to us their most prized possessions. I think if we are talking that there may be, and I believe there is a curriculum renaissance that’s taking place. That there is really high-quality resources out there that can change the dynamics of our classrooms and instruction. That it’s worth digging a little bit deeper on behalf of our community’s most prized possessions. To inspect a little bit more and say, hey, is this actually true? Begin to have that thoughtful conversation around how we are actually talking about quality with curriculum. I would lead them with really focusing that dialogue around three things, which is the instructional triangle. Most districts only focus on one or two areas of the triangle. Which is teacher knowledge and skill, the role that students play in the learning process, and content. As educators, have thoughtful conversations around all three of those things. Recognizing that when you change one around a clear vision, you have to change all three. I think we are constantly asking teachers to develop new skills and build new knowledge. We’re asking students to learn in new, dynamic and more personalized ways. We have to change our content to allow that to actually happen, and so you’re really thoughtful for allowing me to be with you today. But I’m here to continue to be a thought partner for people through this work. It’s been a pleasure. We’ve learned a lot. It’s been messy, but worthwhile, and I’m really excited to continue having this dialogue with educators and leaders around the field. Tom Murray: Awesome, and the good part is we know it’s going to continue. On behalf of Future Ready, we look at our future ready framework, today’s focus of curriculum instruction and assessment in that year. It’s the heart of what we do. It’s the teaching and learning side. Brian, I love how you shared our kids are our most precious commodity. Our most precious resource, and we have the moral and ethical obligation to do everything we can to give them the best possible experience. Because let’s face it, as economic outputs for the rest of our, whether it’s in our state or in our country, it is far more than just K-12 education. It’s also about the future of our country as well and they truly are our most precious commodity. I couldn’t have said that better myself. With that, I do want to remind our viewers that information on Future Ready can be found at futureready.org. We encourage and challenge district superintendents to join over 3,300 other superintendents from around the country in signing the Future Ready pledge. I also want to encourage our viewers to get involved with our growing strands. I briefly referenced those earlier. From district leadership to technology leaders. A little bit more boxes and wires there. To principals, to librarians, to instructional coaches. We really expanded in the past couple of years the reach of Future Ready and the supports around the framework and the different tools and resources that we are providing to support you with that. I do want to thank our guests as well as think all of you, our viewers, for joining us today for this webinar. Don’t forget to connect with us at Future Ready on Twitter, @FutureReady, and on Facebook, Facebook.com/futurereadyschools. We also have private Facebook groups for each of those strands. We encourage you to get involved. Great conversations happening in there on a daily basis as well. If you did miss any of today’s conversation, it’s going to be archived at all4ed.org/webinars. That’s all, number four, ed.org/webinars. Soon after this webinar on that page you can also see a list of upcoming webinars. You can also find the alliance’s Google Hangouts or YouTube channel on there as well. For those of you taking part in the Action Academy Badging Platform, the password for this webinar, no surprise, is curriculum. Thank you again for joining us here at Future Ready. Thank you to our participants for joining us. Have a fabulous day. We will see you next time.